Thomas and Maurice's Managerial Economics teaches students how to use microeconomic theory to analyze business decisions. In a clear and engaging writing style, Christopher Thomas carries on the tradition he and Charles Maurice shepherded for seven previous editions in the 8th edition. The 8th Edition explores the current market forces that create both opportunities and constraints for business enterprises. 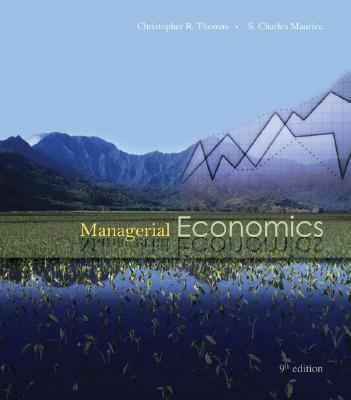 The book has enjoyed success in part because of its mid-level of rigor.Thomas, Christopher R. is the author of 'Managerial Economics ', published 2007 under ISBN 9780073402819 and ISBN 0073402818. Loading marketplace prices 10 copies from $3.71 How does the rental process work?